I'll try some of the other episodes. Watched Pure off my DVR (I think it is on Hulu now), a six episode telling of a Mennonite preacher trying to get drugs out of his community but ends up being 'drafted' to run the business instead. Not bad, definitely not an action show. Originally from CBC I caught it on WGN here in the states. That's totally inappropriate. It's lewd, lascivious, salacious, outrageous! Netflix movie Close. Not too shabby. Not amazing either. Secretariat. Really good. Never seen it before and had no idea about the backstory. Not as good as Seabiscuit was but Seabiscuit was a story of the horse and the Depression. This tries to weave in the Hippie movement stuff but it isn’t as prominent. I have the first season of this in my Netflix list... good? So, I have given LDR another shot and really enjoyed some of the episodes. Some others, not so much. I'm not watching in any particular order. I really liked Three Robots (and I've been trying to warn the world about the impending Catocalypse, but no one will listen). I also really liked Lucky 13. Drop ships in "space opera" are always cool! I also really liked the short one about the gang heist of that microchip. Very derivative but still fun and cool to watch. The one about the salesmen stuck in the desert was kind of neat, but the very end just sucked all of the wonder out of it. The one about the star ship that got lost could have been much better. The CGI was excellent, but the voice acting was terrible, and the blonde did a terrible job hiding her English accent. And the one about the dump was supposed to be funny, but was just stupid. There are a few more that I need to watch. Glad you are liking it more! 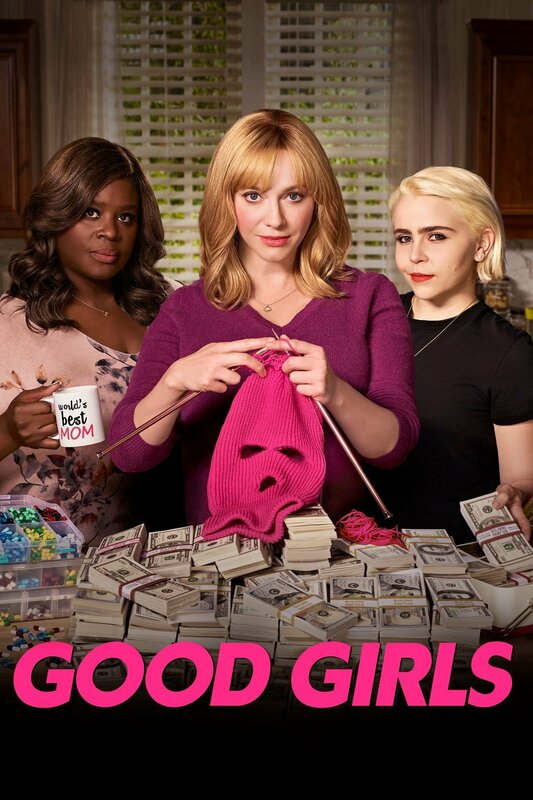 I'm a few eps into Good Girls and it's pretty good. I like the leads, but the story so far is kind of preditable. We are caught up on Good Girls and we liked it. Wish the younger girl would do something about her almost uni-brow though. Hey. She lost her mother when she was a little girl during an alien invasion that almost took the life of her dad, the President at the time. Sure, but you got my joke, right? No, I don't watch It's Always Sunny in Philadelphia. I’m partway through Good Girls. Other than being really predictable story-wise I’m enjoying it. that's a very underrated movie. I don't think I've ever seen Layer Cake, added to my List. A Quiet Place meets Bird Box in the new trailer for The Silence which premieres on Netflix April 10. Layer Cake First time I watched it I had to turn subtitles on. The Silence - I like Stan. I'll give it a go. Probably going to check out The Highwaymen tomorrow if work is as dead as it has been. Life is way more fun with people you enjoy being around. After two weeks, finally finished all the LDR sections. I liked most of them, FF only two, the rest were interesting with their unique plots. The Dirt it was just OK, quick recap of Motley Crue's life but the way it was made, could have been pretty much a sum of any 80's rock band. Started watching more stand up comedies, one who stood out was Tom Segura he has 3 specials, all were good! Bert Kreischer was the other one I also liked. Originally Posted by Code Red! I watched "The Mule" and "The Highwaymen" last night. I didn't really think The Mule was that great. The Highwaymen, however, was a fantastic movie. Would watch again. Just finished The Highwaymen and really enjoyed it. Had some technical faults that fans of the genre would notice, but it was interesting in that Bonnie and Clyde, usually the central characters, were kept vague. Last edited by Seabird; 03-31-2019 at 12:27 AM. Dunno, I am seriously loving the cranky old racist Eastwood.